At a time, when India is awaiting nod for the signing of one of the most significant weapons deal of the recent time – the S-400 missile systems – with Russia, the two countries are at verge of finalizing the Inter-Governmental Agreement (IGA) for the local manufacturing of the AK-103 Assault Rifle, a modern upgraded version of the AK-47. Sources have informed IDI that the IGA will cover for production of minimum 50,000 guns a year making the total of up to 7, 00,000 guns. The IGA will pave way for the establishment of a Joint Venture (JV) on the line of the Ka-226T helicopter JV. 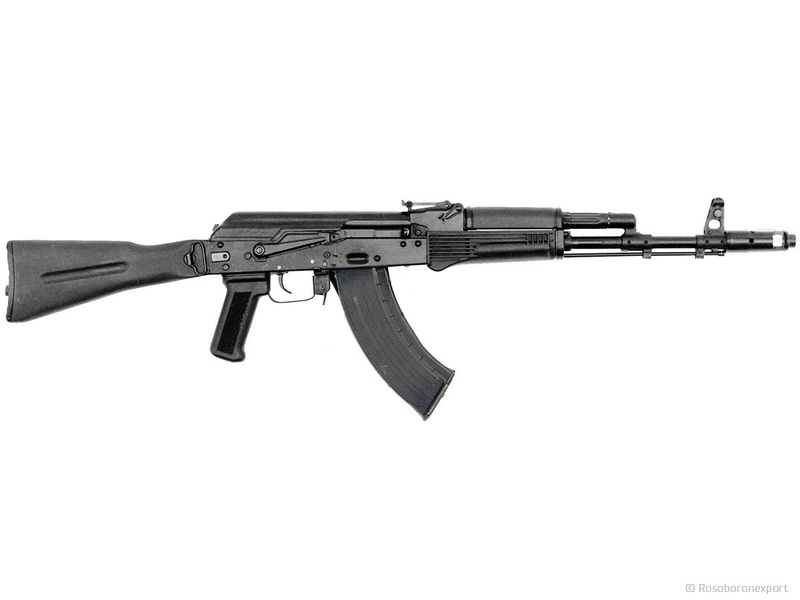 For the AK-103, the Indian Ordnance Factory Board (OFB) will form a JV, holding 51 per cent shares, with Rosoboronexport and Kalashnikov Concern holding 49 per cent shares. Recently, India has come up with a Request for Information (RFI) for procurement of 6,50,000 assault rifles of 7.62x39 mm under ‘Buy & Make (Indian)’ with ‘Buy’ component as ‘Nil’. The Request For Proposal (RFP) is expected to be released by coming December. Sources have further informed that the IGA will allow the JV to export the guns to any third country as well. In line with the RFI, the IGA will allow the complete localization of the manufacturing gun. The two sides have aimed at 100 per cent localization within the first two years of the project. Through the JV, two sides are looking at deeper cooperation, beyond just Transfer of Technology, including material based co-manufacturing, product-development and upgrade. A technical team from Russia is expected to arrive in India to make an assessment of the OFB plants later this year after which the two sides will be able to finalize the cost of the project. The deal may help India in acquiring the much-needed capability in the small arms segment.